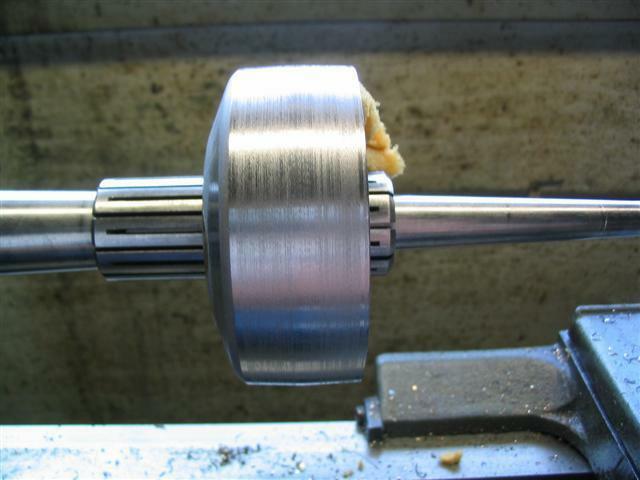 I've read of cutting out the old center and welding in a piece of pipe and cleaning it up on a lathe. 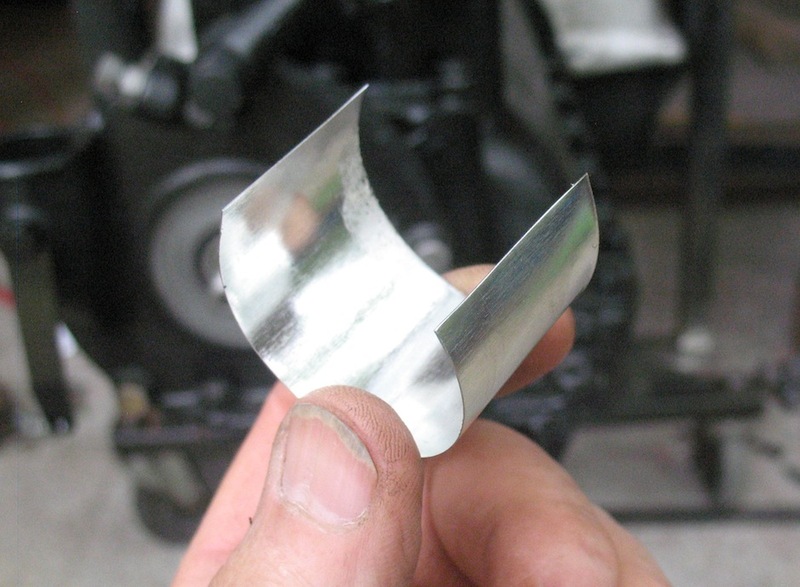 I went with the shim approach, but with steel cut from an old can, not brass. 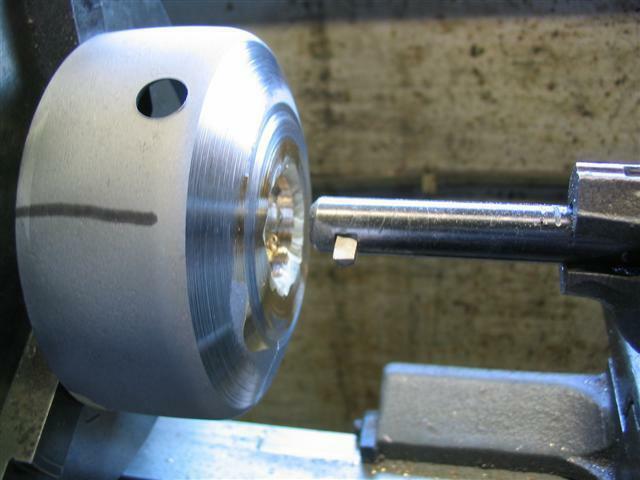 Pin in, ready to crank. So far it works OK. 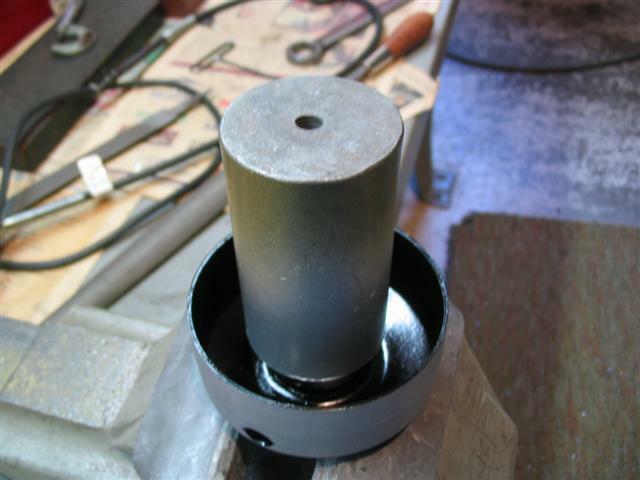 Note for installing pulley - utilize a piece of 3/4" round stock to insert through the c.c. 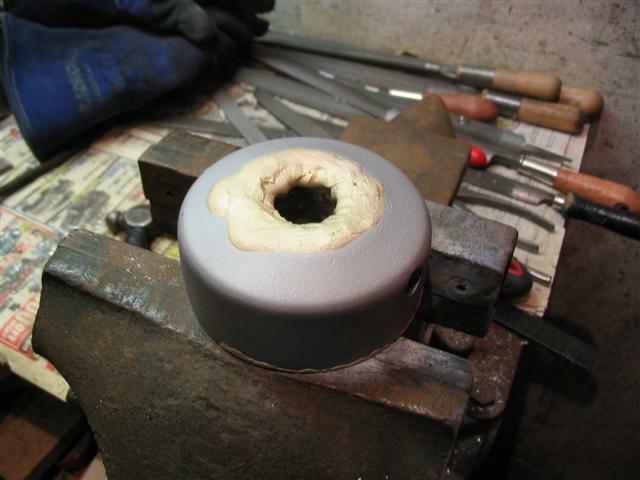 snout bushing then place a hardwood block or piece of flat bar against the pulley and drive away. 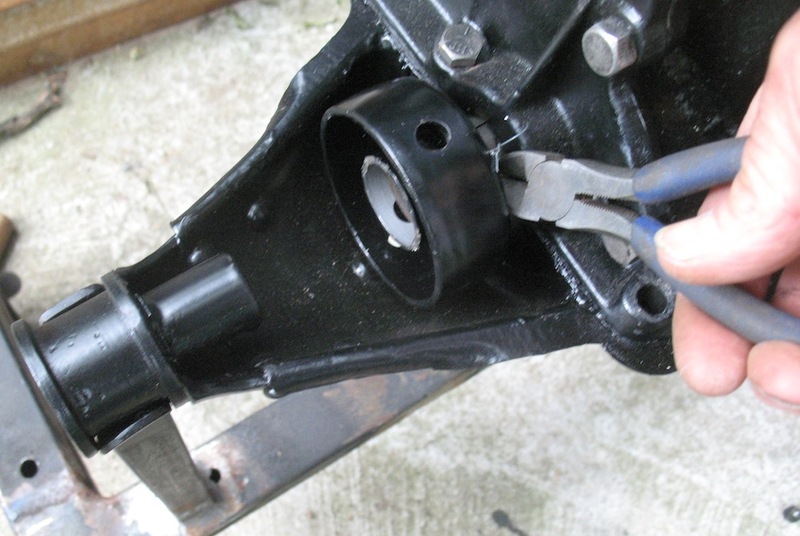 I've often wondered if you could make some device to "swage" down the center portion to tighten it up. Something like a copper tubing flare tool but it would have to be much bigger and heavier. The other thing I had thought of was maybe making something with a tapered lead-in that you could press/beat the pulley into that would squeeze it down a bit. I've never tried either of these ideas. It's just something that crosses my mind from time to time. 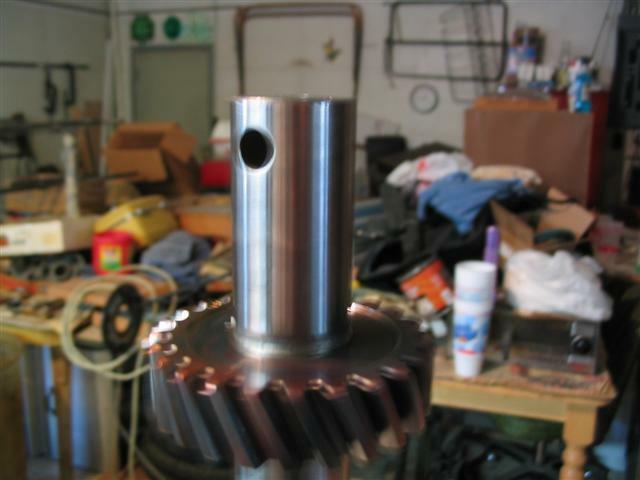 How were you able to align the pulley with the hole in the crankshaft with the shim blocking your view of the crankshaft? 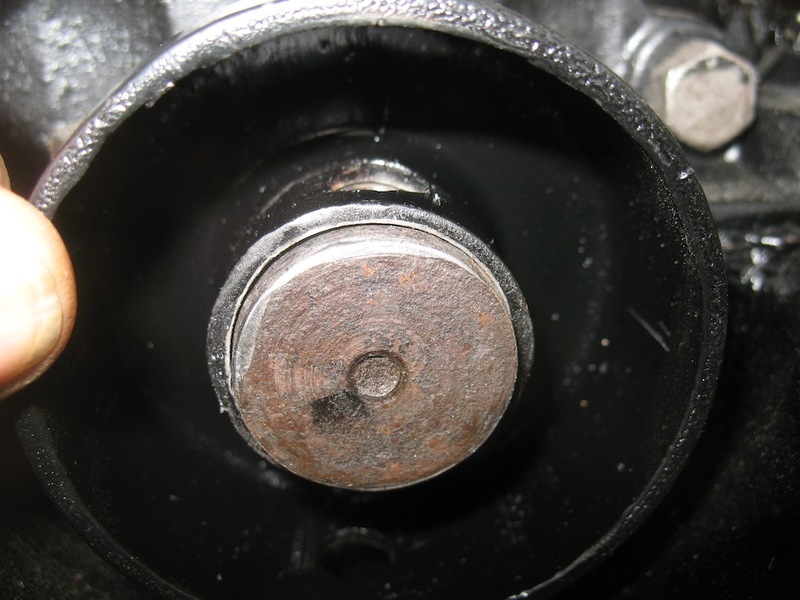 I have used two steel shims, one on each side of the pulley but not blocking the hole. My fix has been successful for many years. I see how now, you left a space on one side. Or you can buy a new one for $140. 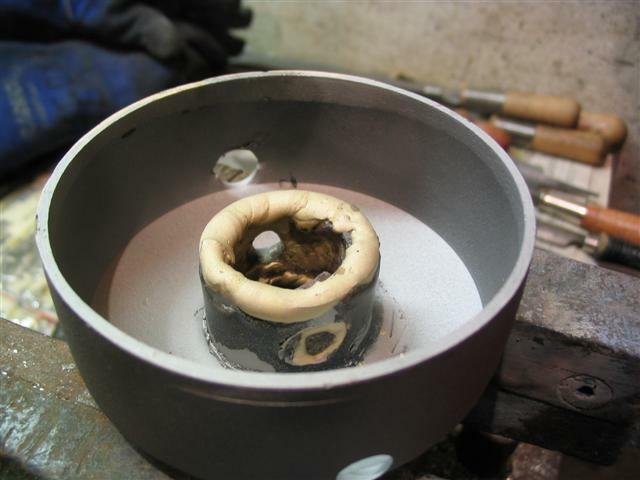 I weld them inside with brass and turn them on a lathe to the right diam. 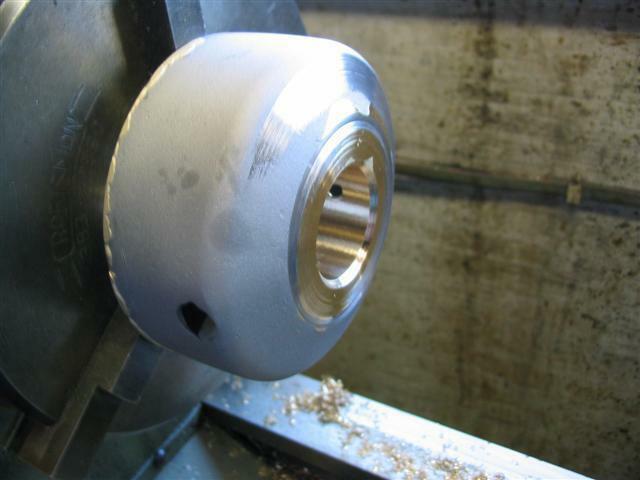 The fit is 1/2 thousandths bigger then the crankshaft. The new pulley crown is 2 Degrees taper. 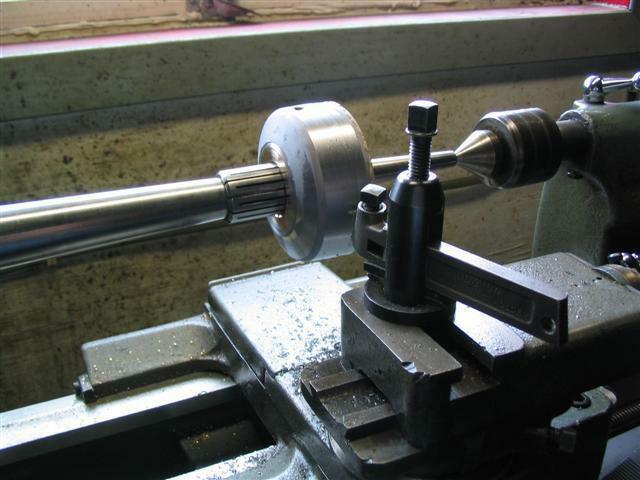 Another idea; if you don't have a lathe or a lot of expensive tools, but have an acetylene torch; find a pipe of iron pipe with a hair smaller ID than the OD of your pulley hub. 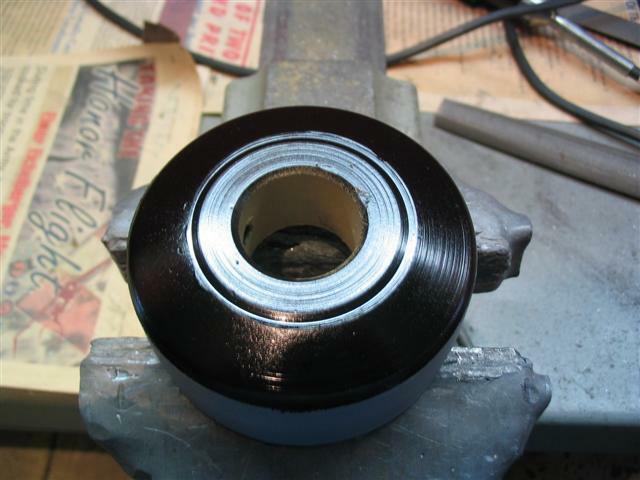 Heat the pulley hub (only) until it is cherry red. 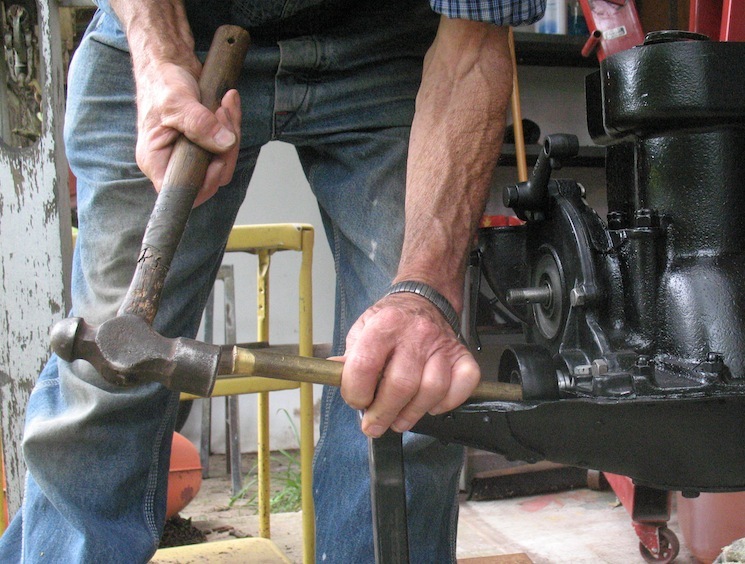 Place the iron pipe over the heated hub and hammer on it, instead of the hub. 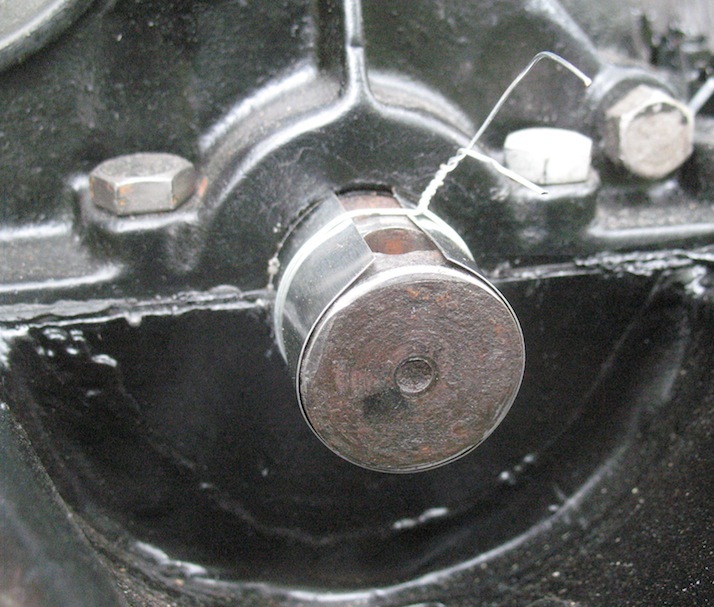 It may be necessary to chamfer the ID of the pipe to center it on the hub's OD. Those loose pulleys make excellent snow plow skids with a piece of pipe welded on them then attached to the sides of the plow for a tractor, done it and they don't dig in at any angle! If I couldn't find a better one I would try like Herm does but doubt I could get that much brass inside as complete as he does. Never done it but would give it a try and see how much "wobble" I ended up with. I see he turned the outside back concentric. An old guy told me how they did it back "in the day"...and I would NOT do this. 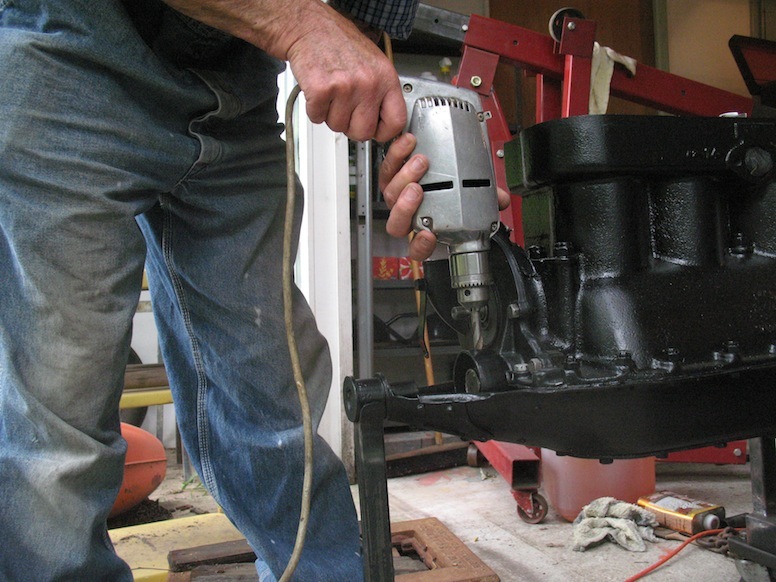 They used to put a pipe wrench on the front of the crank and turn the motor over several times to scar up the crank and swell it then drive the pulley on. 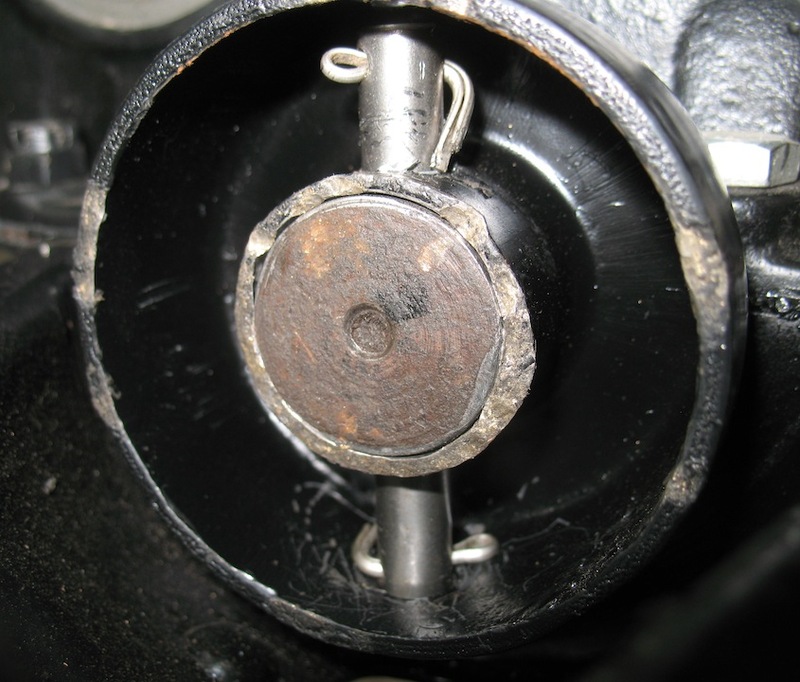 It would probably work but I would never damage a crankshaft over a worn out pulley. It would be like beating your foot with a board to swell it up for a shoe that is too big, might work for awhile but over time it will get loose again. Good tutorial. I have done several pulleys as well. 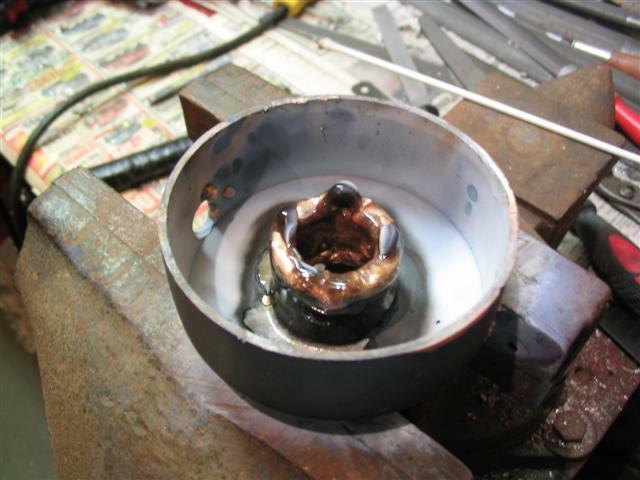 My difference is that I use my MIG welder to fill the bore instead of brazing the bore. I can come in from both sides and get a pretty good coverage of weld in a relatively short time. Some good ideas here. I will offer up another idea; and that would be to put a coarse knurl on the ID of the pulley which would effectively make the ID smaller. 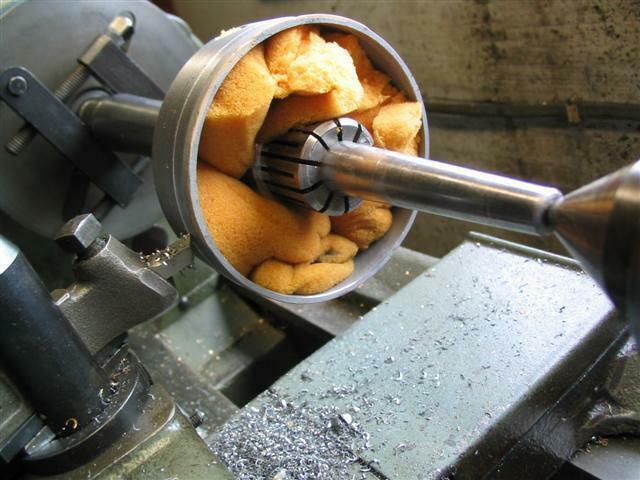 I have never seen an internal knurling tool but they probably exist. 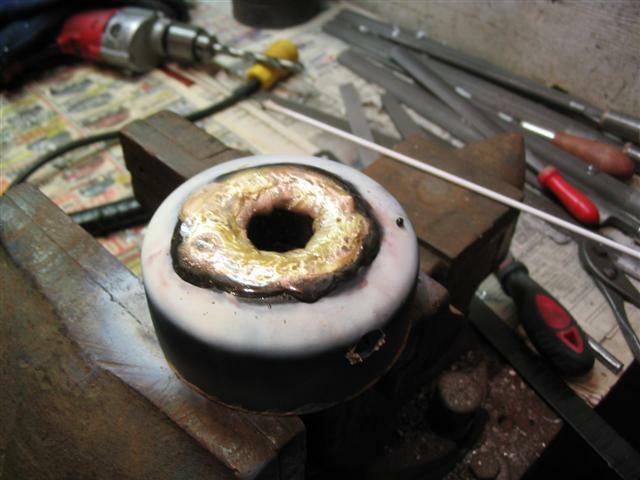 Ron, I was also thinking that I could use my MIG welder as you suggested in place of brazing the bore. Thanks for suggesting that method. Probably less heat distortion. Jeff and Herm, Both tutorials are really good. 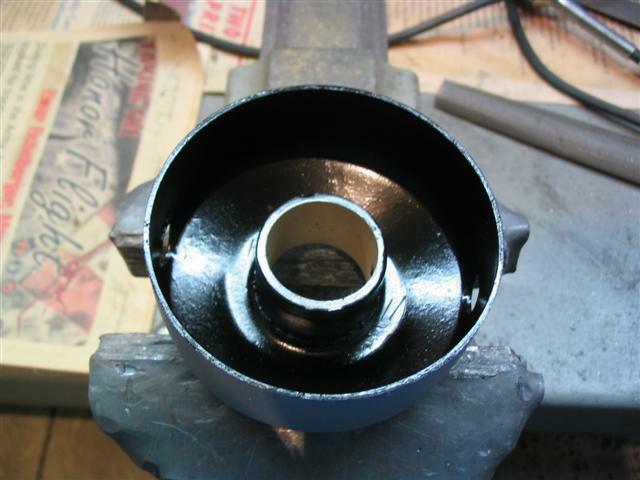 I agree with building up the inside of the pulley with brass or MIG welding. Do not agree with beating on the pulley as Steve had done. 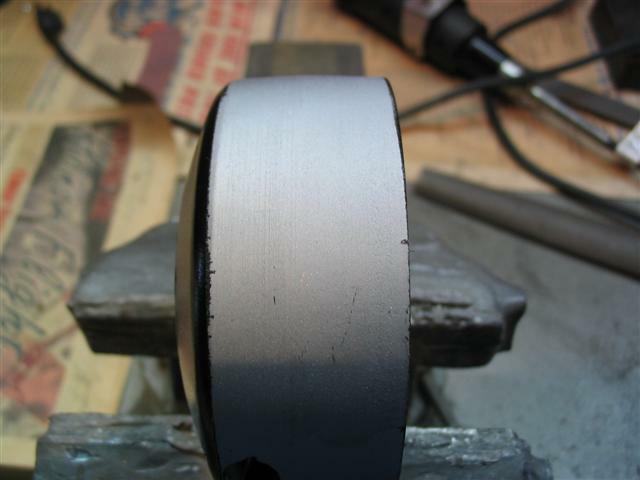 Can cause damage to the crank or main bearings.